Speaking of CMEC (Wuxi), the policy of reform and opening up since 1978 must be mentioned. Since then, China has begun to actively expand its foreign trade. Around 1986, the foreign trade in various provinces and cities began to enter the track of sound development in the reform and opening up. In 1987, Wuxi branch office of Jiangsu sub-office of CMEC was officially established when there were only 15 employees. At the beginning of the establishment, the company was small in size and had few staff, and it was difficult to conduct foreign trade. The first batch of old employees were transferred from different factory departments of Wuxi Machinery Bureau, and they were unfamiliar with foreign trade. However, the impetus of the reform and opening up drove their self-reliance and their desire to enter the international market. At that time, the company had a slogan resounding through the company: "To go to the international market, we pave the way for you", thus the first Canton Fair came into being. At that time, to participate in the Canton Fair, one should take the morning train with samples of a few hundred catties for Guangzhou, and arrived the next day at six o'clock in the evening. In Guangzhou, the company had no local representative office, therefore, products, accommodations, booths, and all matters needed to be handled by oneself. Initially, the company only participated in the exhibition, but not in the negotiation with travelling merchants. With such constraints, employees could only hand the samples to foreign merchants at the entrance after getting stalls for the Canton Fair, just like nowadays leaflets salesmen who tried so hard to promote products. Later, the thinking was gradually widened, and a few state-designated port companies were contacted in a targeted manner. For instance, the agricultural machinery should link up with the company in Tianjin, and the machine tool export should do business with the port company in Shanghai. At that time, there was no good channel, and one needed to make breakthroughs slowly through their own efforts and gradually exploited more customer resources. In 1991, the company's foreign exchange earned through exports exceeded USD10 million for the first time. In 1992, the company set up the first overseas institution in New York. Although the state encouraged the development of foreign trade at that time, the right of operation was quite tightened. Originally, the company had no right for self-operation. For long-term development, through the efforts of Wuxi Machinery Bureau, the company was linked up with CMEC and became a wholly-owned subsidiary of CMEC in 1993, gaining the right of self-operation. After the company acquired the right to export, its business had qualitative leap-forward. In 1999, the company's total export-import volume exceeded USD50 million. In 2005, the company's total import and export volume exceeded USD100 million. Though people of CMEC have long been fearless of difficulties in work, the nirvana and rebirth in car accidents and the surviving from shooting accidents deeply shock everyone. In 2011, commissioned by the company, employee Huang Xichao resided permanently in Kenya, East Africa to explore local solar market. As he was full of ambition to open up a new market, a sudden accident made his trip a complete mess. The rehabilitation after car accident was extremely difficult and lengthy, but this did not diminish his passion and longing for overseas market. After six months, he still stepped on the land of Africa. The development of the East African market was also full of twists and turns. On the morning of one day, he was sorting materials in the office as usual. With a loud noise, several masked gangsters broke in before he came to sense. Frenzied robbers knocked him down with a blunt, and the cold muzzle pressed against the back of his head. At the crucial moment, he kept calm, tactfully dealt with the gangsters, successfully transferred their attention and saved the main property of himself and the company. In addition to the safety problems, in the battlefield-like photovoltaic market of Africa, in the face of malicious dumping by competitors, fortification by partners, payment arrears by distributors, "African friends" deceiving, traps and tests were everywhere and the young man was growing rapidly. Although he hesitated, oscillated and made mistakes, in the end, he managed to open up and stabilize the market, harvesting millions of dollars of orders in Kenya for the company. The global financial crisis broke out in 2008, and the situation of the foreign trade industry has gone from bad to worse. In 2013, the company stepped on the road of transformation, and began to transform from an enterprise with stand-alone trade to a comprehensive enterprise with trade-driven project. 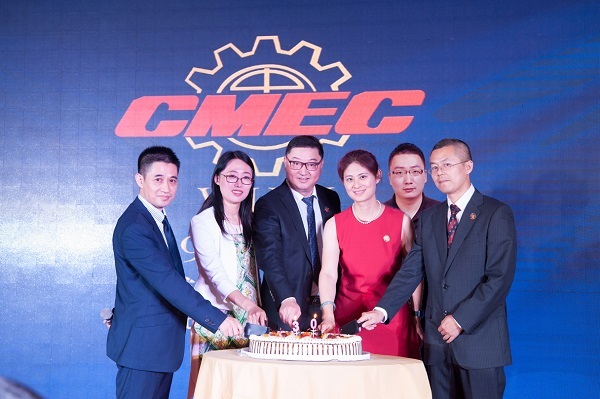 In September 2013, the company was renamed China Machinery Engineering Wuxi Co., Ltd., and in the same year, it was put under the East China Business Department of CMEC in the same year. The transformation was like a fighter scudding across the sky, and though it was so difficult to take off, it tried to fly high into the air. In March 2014, the first photovoltaic project of the company in Wuxi - CMEC 3.3MW Wacker distributed PV power generation project was formally connected to the grid. 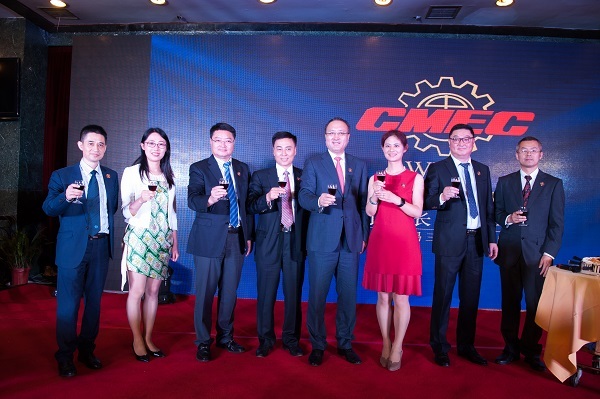 In May 2014, CMEC Machinery Engineering Wuxi Co., Ltd. cooperated with Ningbo Shimaotong International Co., Ltd. to jointly establish Wuxi Shimaotong Supply Chain Service Co., Ltd., which provided customers with customs declaration, customs inspection, logistics, foreign exchange, tax reimbursement, financing, insurance and other one-stop, all-round foreign trade integrated services in the mode of enterprise operation, and created the first comprehensive foreign trade services platform in Wuxi - EasyTrade. In November 2014, under the promotion of the Wuxi company, CMEC and Guolian Group jointly funded the establishment of CMEC-GL Wuxi New Energy Development Co., Ltd. Both parties would carry out long-term cooperation in the fields of investment, development and construction of photovoltaic projects, investment in domestic municipal projects, construction and operation, and international engineering projects. Through nearly four years of hard work, the company's new energy PV business has maintained its presence in the country based on its existing business. In the future, the company will actively respond to domestic and foreign demands for clean energy. Based on the three major fields of photovoltaic, lighting and biomass, the company will endeavor to build a CMEC new energy brand and become the best service provider of clean energy at home and abroad. CMEC (Wuxi) is going farther and getting better on the road to transformation.